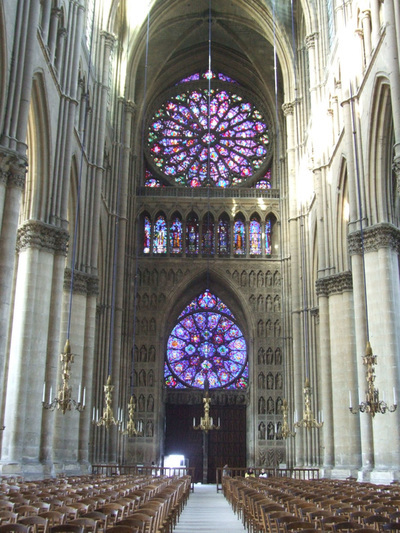 At the Age of ten, I visited the Cathedral of Rheims, Cathédrale Notre Dame, built around 1211 on the site of many prior buildings chosen by Christian forefathers. I recall seeing the huge round stain glass window, The Great Rose window. I was in awe of this great church and knew I had been here before. 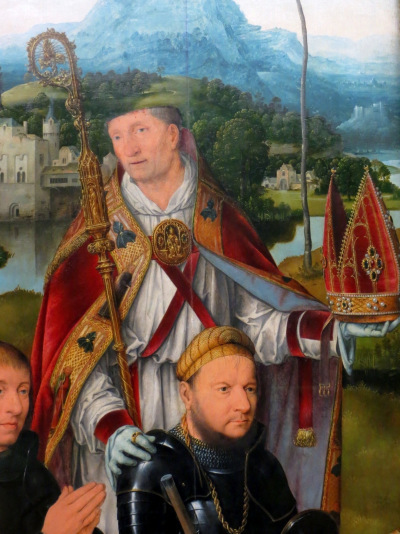 IN the year 406, Nicasius was the Bishop of Rheims having founded the first Cathedral in Rheims. 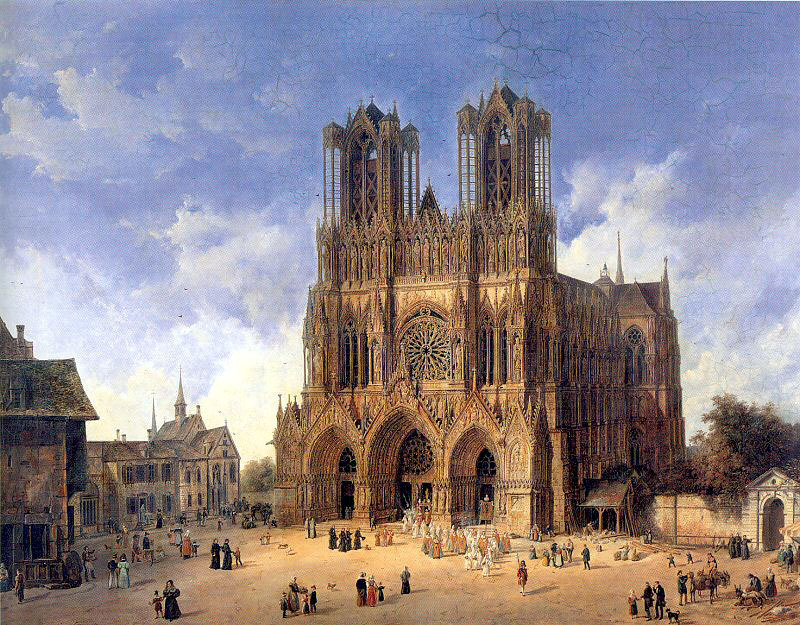 At that time, the Vandals had crossed the Rhine and destroyed many french cities until they reached the city of Rheims. Upon their approach, the people of the city went to Nicasius and asked if they should allow the Vandals into the city or to fight against them. Nicasius had been given previous visions that the city would be destroyed, so he said to his people that it was God's Will that they should receive the persecution of the Vandals and that they should be prepared to receive martyrdom by praying for the Souls of their enemies. "Let us go surely to the peril of death, and let us abide the mercy of God. I am ready to set my soul for my people; let us pray for our enemies, and let us desire of their souls like as of our own". "If ye slay my people, I ask that you slay me first". He began preaching the faith of Jesus Christ so as to teach them how they might be saved - but they did not understand him. 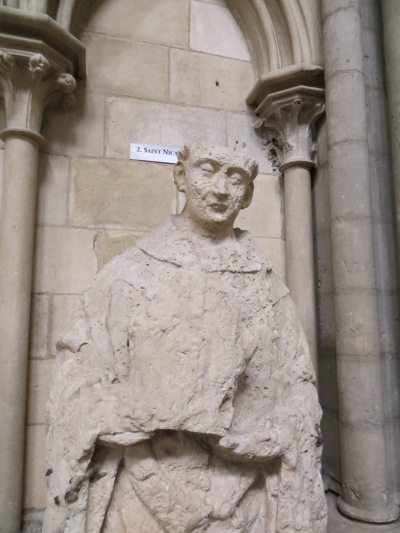 On the steps of the Cathedral, Nicasius began reciting from the Bible, and knelt in prayer, head bowed, quoting from Psalm 119. As he was speaking the words - "Deleth adhesit pulveri anima mea" (My Soul clings onto dust), his enemy drew swords and swung down severing his head. Even with his head separated, Nicasius continued speaking the prayer with the following words - "Vivifica me iuxta verbum tuum" (Revive me according to your words). When Eutropia saw her brother so martyred and that the enemy did not seek to despatch her also to the afterlife, but sought instead to make use of her beauty, she ran to the man who had slain her brother and attacked him so that she and others also taking action were martyred as well. Upon seeing this Holy man continue speaking after his head was removed, the actions of the woman and others clearly seeking death on the swords of their enemies, this was followed by a great sound that came from within the church - so much so, that the Vandals were filled with fear and dread and dropped their swords and fled from the city believing it cursed and bewitched. 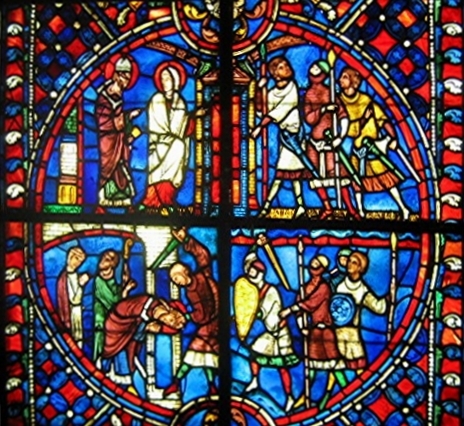 That night, others who had previously abandoned the city to the Vandals, returned to find the bodies of the Bishop, his sister and other clergy with the swords of their enemies and gathered treasures besides them, but with no sign of the fierce Vandals within the walls or subsequent evidence of their disappearance. Believing this to be a miracle of God, they thanked the Lord and gave gratitude in prayers and verse believing that Saint Nicasius, Saint Eutropia, the Lector Jucundus and the Deacon, Florentius to be blessed of the highest divine order. The primary part of this verse refers to the unwillingness of the individual to let go of the physical body when facing certain death - as the Soul clings onto the hopes of survival. The second part uttered after his death refers to the promise stated - For God so loved the world, that he gave his only-begotten Son, that whosoever believes on him may not perish, but have life eternal.